you may have expected the „Answer to the Ultimate Question of Life, the Universe and Everything“ from update 42 or have you newer sheltered a passing hitchhiker in one of your outposts? For example a persisting epidemic in another companie’s colony is lowering their colony’s stock price. Use this opportunity to buy their shares at a discount! Riots, fires, hackings, flood, tornadoes, asteroids, meteors and other incidents have similar effects. Also threats like Assimilators or Xrathul will cause a drop. Your ability to artificially trigger these natural catastrophes through temples and items makes price drops an interesting prelude to the next strategic equity buying spree and the takeover of other colonies. The free market makes it possible. 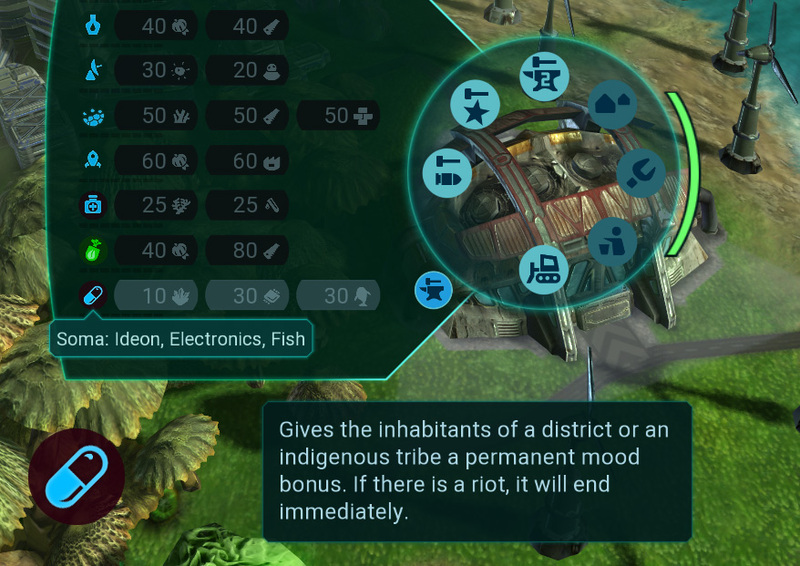 Riots are now a real threat to your colony! This is what happens when your colonists are unhappy for a long time. Under-supply of resources or negative external influences lead to a poor quality of life. If these circumstances continue for too long, people’s misfortune increases to anger and a riot develops. It’s too late to fight the causes of the uprising as soon as it breaks out. A riot can be pacified with the use of Soma and prevented by a security complex or a frontier tower. But the easiest thing to do is to provide good colony living conditions in the first place. This building stations police units to maintain order in the colony. Riots of dissatisfied colonists in the surrounding area are prevented. This ensures peace and quiet, although this is associated with additional costs. The facility monitoring upgrade scans production facilities in the surrounding area and prevents incidents. The cyber security upgrade monitors the information networks in surrounding buildings and prevents hacker attacks. To sum it up: it’s raising the general life quality and helps against riots. A new age of ingame animations awaits us! Starting with the colony center base which is expanding in various parts that screw, bend and turn out of the ground when the landing capsule is coming down. 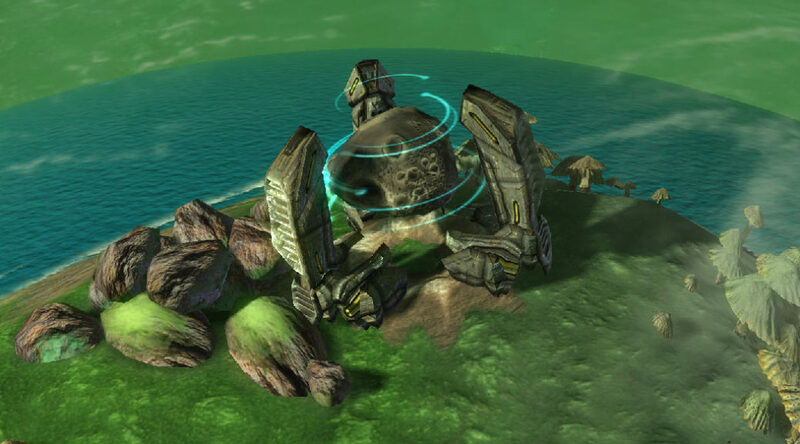 The worker drones are now stationed on landing pads from which they will lift off to build and repair. Might sound a bit weird but we had to disable this basic graphics feature for ages due to framework issues. But what it adds to the game’s look is awesomely amazing. Lovely, calm and soft edges everywhere especially when you zoom out from the planet, have a look. 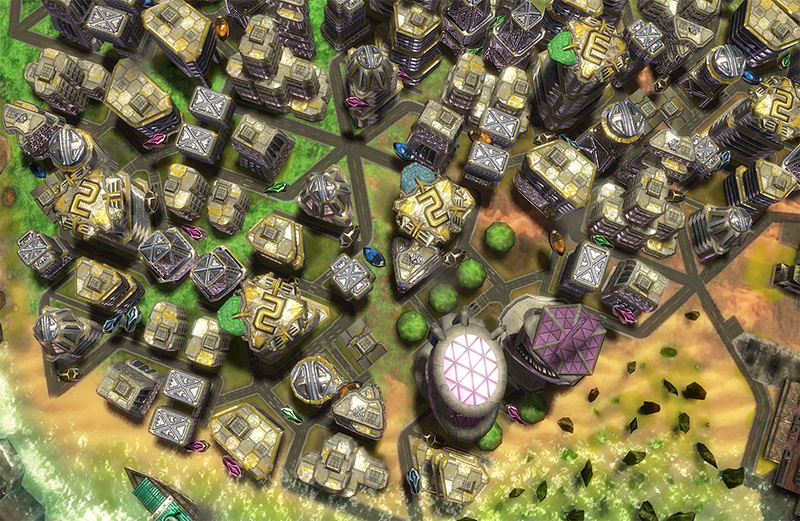 here comes a set of awesome new features improving your space colonization systems. This month we spent a lot of time into pimping the user interface of the game into it’s 4th evolution and making it 4k ready by the way. The existing user interface clearly did not meet the demands of our colony & planet simulation. 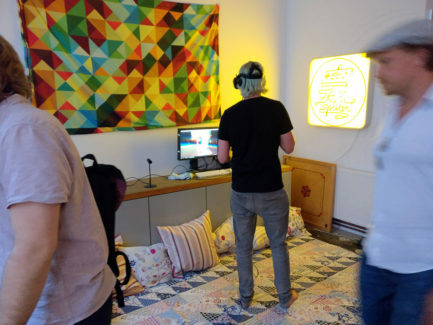 It was very clumsy and reminiscent of a casual mobile phone game. So we rebuilt it, using the smaller and much clearer Roboto font for all text elements, while keeping our futuristic fonts for headers and elements that need highlighting. 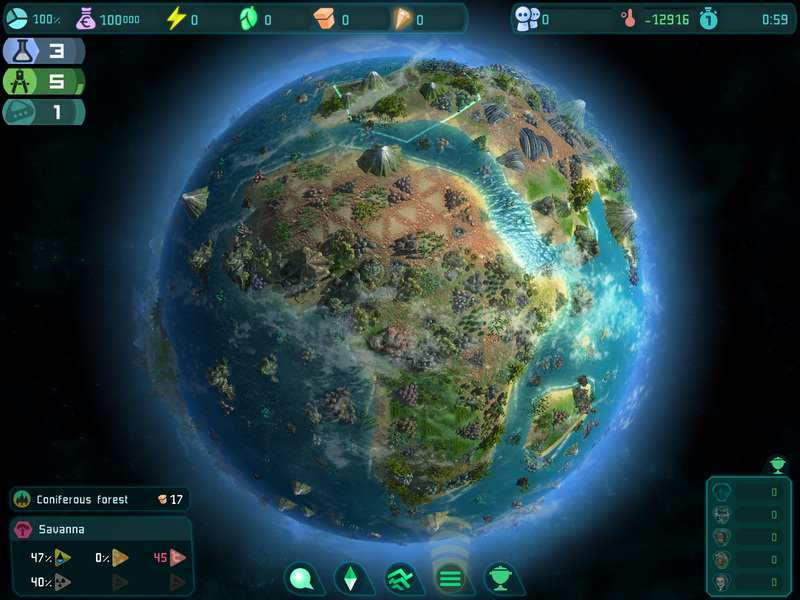 The new interface now has become much easier to read while taking less screen space and thisway giving even more focus to the planet itself. If you are using a relatively small screen with a high resolution you can still zoom the interface up to 150% in the options. A side effect of our work is that the new user interface has a higher resolution and thus is ready for your 4K display. The new building remediation center comes with an additional worker drone and uses this drone to automatically start the clean up process for nearby fields. An powerful upgrade for the center is carbon sequestration – the technical separation and storage of CO2 emissions from surrounding buildings and power plants. Thanks to underground compression, the exhaust gases do not enter the atmosphere. The second ugrade for this building is „Advanced Remediation Process“ it halves the cost of soil clean up in the area. 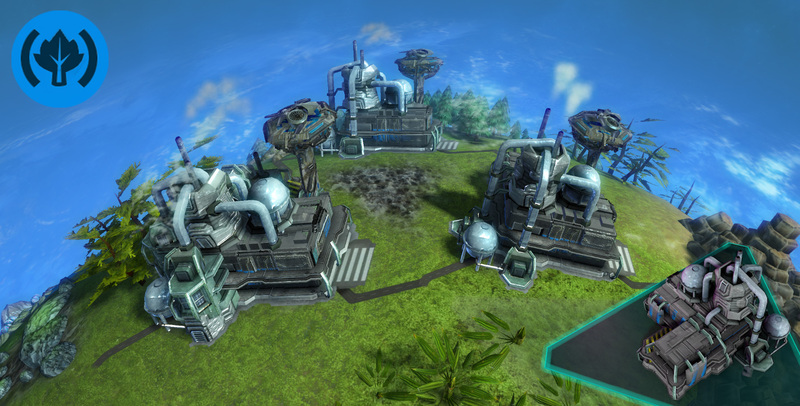 The logistic center is now called „Maintenance station“ and automatically repairs nearby damaged buildings by default. It’s upgrades are the fire station and „Advanced Repair Process“, which halves the cost of repair processes in the area. In the course of global warming there will be new deserts emerging next to others. Thereby the infertile wasteland is growing. The only way to prevent this is to plant forests onto desert fields so it can’t spread. Trees will effectively stop the process of desertification. In the illuminati temple you can use gaian energy to create a field of desert anywhere around the world. Except on fields with forests on them. They are aligning to the sun and the wind direction now. 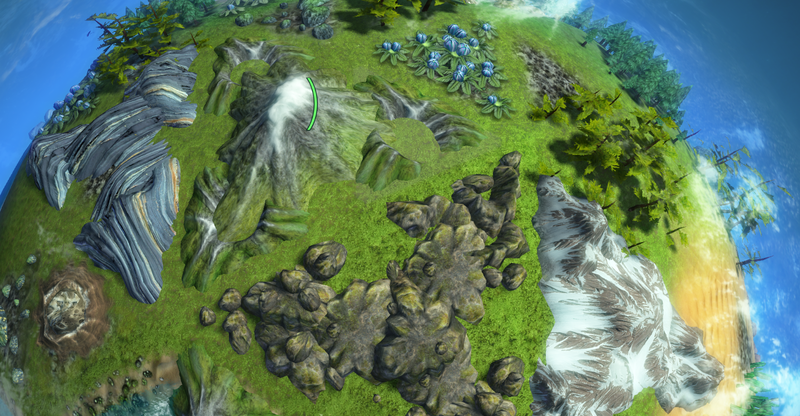 Each mountain has two versions now to bring more variety into the game’s look. These two versions are now put to the three edges of big mountains as well to make it easier to see whether a field is blocked by mountains. Fixed animation problems: we had some seriously strange problems with sub models and animations. Mystery finally concluded! Ships and oilplatforms no longer visible under water, while being built. City expansion now also needs drones. As always we wish you a good fun and hope you let us know if anything comes to your mind about the new features! Space colony people, may we have your attention please? 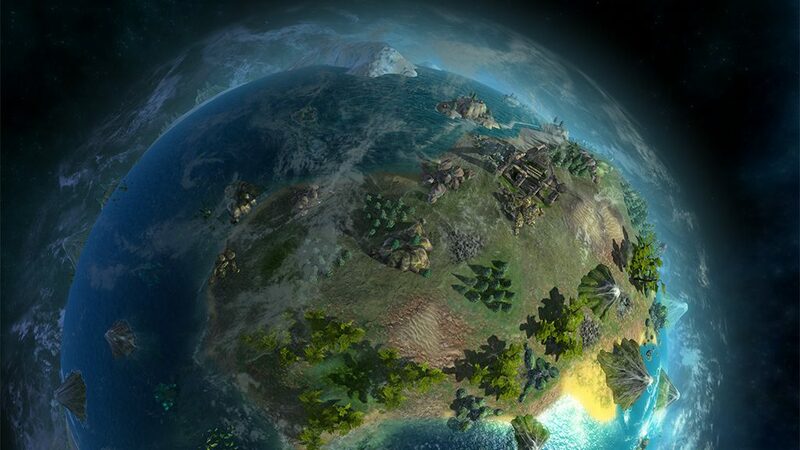 The age of diplomacy just kicked into Imagine Earth! Other corporations now have an attitude towards you. When you are being offensive they will find appropriate strategies to react to your doings. 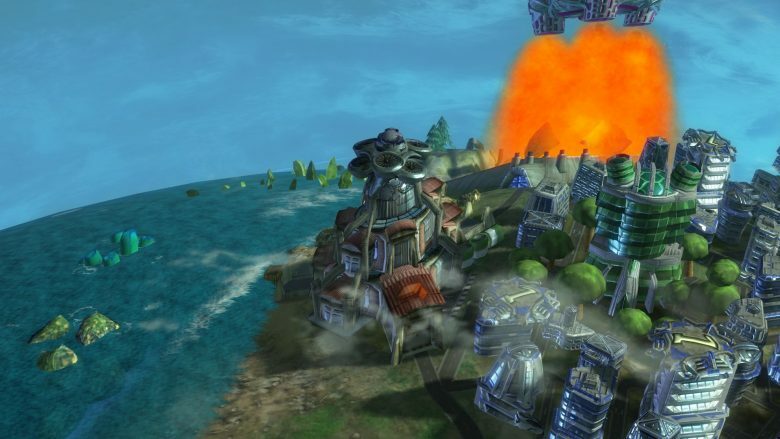 Also there’s a mighty construct in this update for you as well: The Midras Extractor creates tornadoes and does terraforming. Read your way down through all those good news to catch a glimpse of some future plans we have. Thanks very much for being with us! If you do like the way we do things here please consider giving the game a thumps up on Steam. It would help as a lot! Why not follow our brand new twitter account @SeriousBrothers? 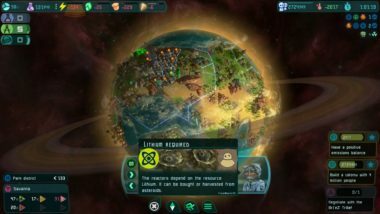 Did you always want to interact more with the colonies you share the planet with? Well we did ever since. Now the other corporations have a mood set in seven levels from being allies to enemies. They react to certain events that you trigger like stealing their land by building a tower or using a hacking tool against them. 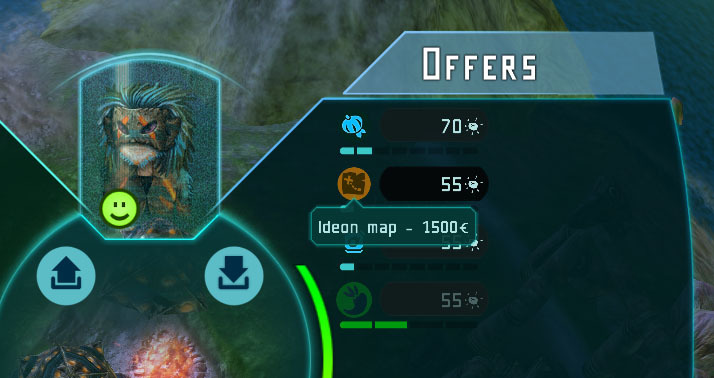 As you can see they stopped trading stuff with us because I threw an asteroid on them. There reactions go down to aggressively taking my terrain and buildings. Note that these are our first „diplomatic steps“ and will definitely need some refinement and your feedback! The Extractor is a high tech construct of the Midras. It absorbs the power of fallen asteroids to generate force fields. It can do rare condensation to turns rocks into gold. Technically it condenses all the small metal particles so they become harvestable. A second power generates a force field in the sky to create a small-scale air vortex in the earth’s atmosphere with an almost vertical axis of rotation – a tornado. 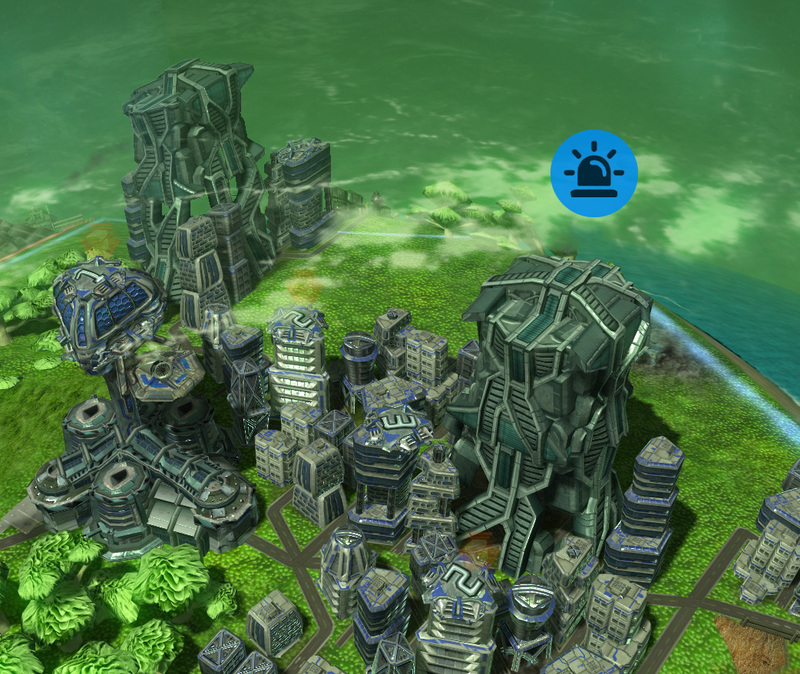 Third it enables you to do terraforming. For the next update we plan to build these and other temple structures with artifacts you can buy from the various races. Natives will sell pumpkin seeds now. You can use them to plant your own nitro-pumpkins whereever you like. In addition they trade ideon treasure maps showing how much ideon is in the nearest ideon deposit. Of course, you will also find classic products like gaian energy containers and the universes most favorite meal drug „Spice“ in their shop. 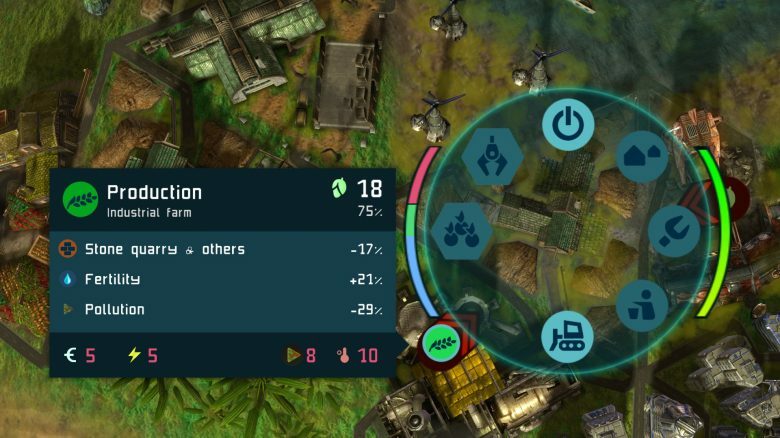 The bonus competition missions in the campaign mode now have 5 goals which help to introduce the victory point systems. This will make it more of a challenge to reach full points in your game profile. AI starts with less money because the where to rich! Titanium goal on Tuto had a problem that we fixed. Lithium goal on Lorian had an error regarding the amount of lithium that you were about to harvest. Laser rotation speed got faster now to shoot asteroids in time. Fixed profile generation available colors. Fire spreads slower – we felt it was to dangerous. 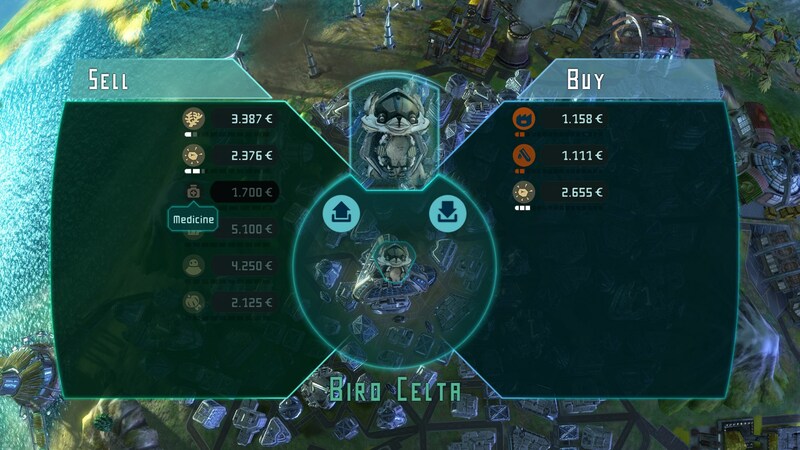 Building city center no longer costs extra money. The landing permission is enough. You can now destruct assimilator ruins. We wonder why nobody did complain, about this. 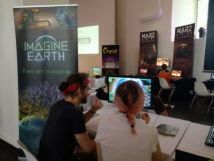 Thanks for reading about Imagine Earth! we recently discovered a new planet – say hello to Thera. In addition, our world management system needed some adjustments. 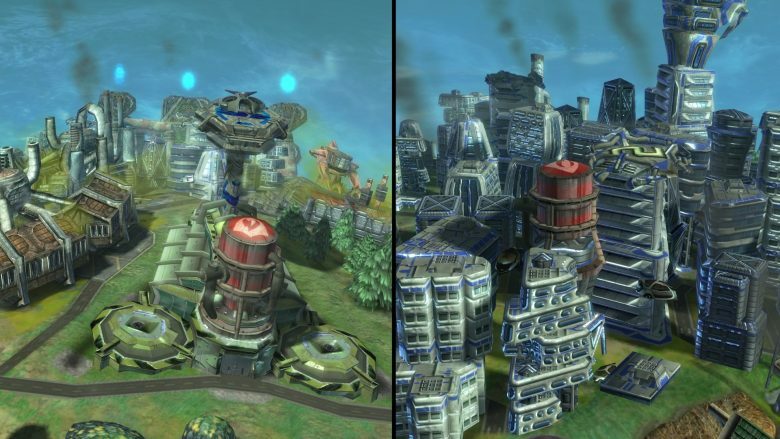 All building upgrades were rebalanced and the resource simulation was revised. 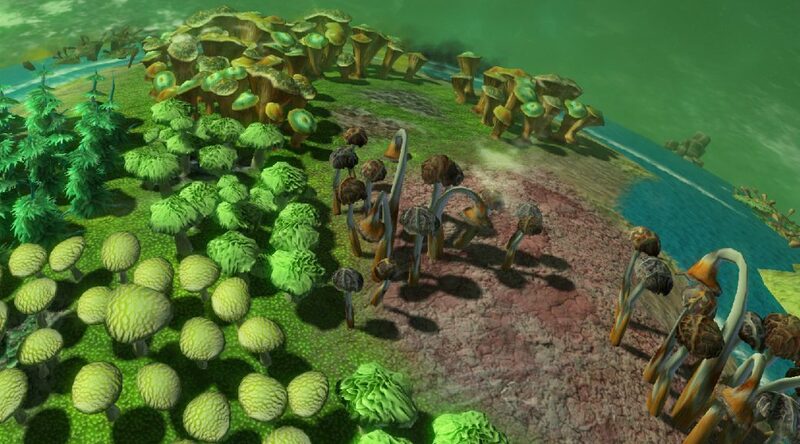 And of course there is so much more…..
We added some edge modells to forests so they look more organic and more round than triangle. As simply as this is said as astonishing it does look in the game. All the upgrades in the game have been revisited and rebalanced. We mostly made them cheaper and more powerful to increase their strategic value. Furthermore the visualization has been improved so you can see the most important numbers at a glimpse. In order to make the upgrades more significant, we also had to adjust the complete resource simulation. 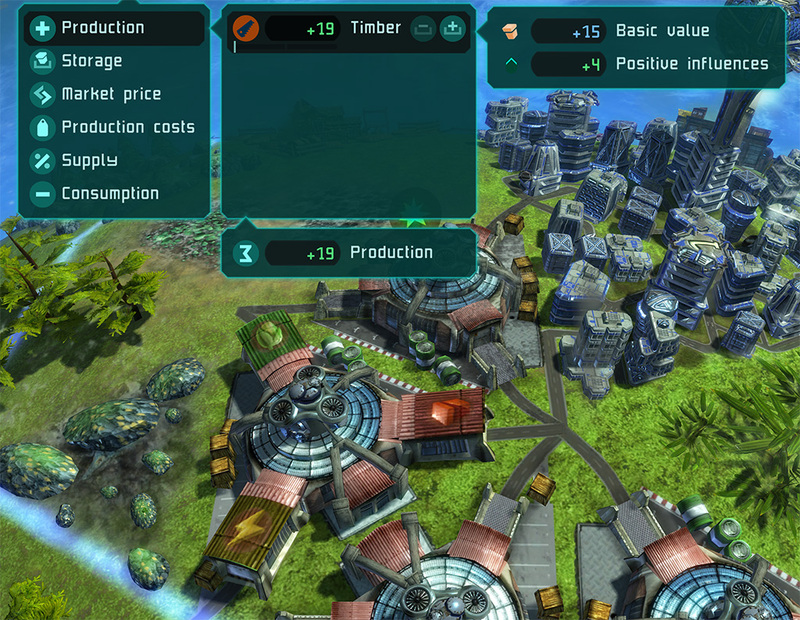 Let’s have a look at the most important change: The production and consumption values of all buildings are now per space minute instead of per space second. 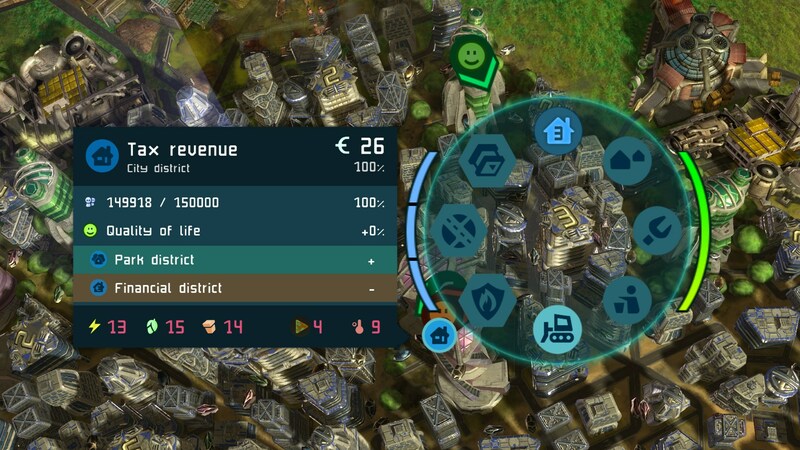 For example the tax value of a district now represents what is collected within a full space minute. 1/60 of the amount will be added to your budget ervery space second. If your colony makes a profit of +300€, it will take one space minute until the full amount is added to your budget. This equals +5€ per space second. This allowed us to increase the production and consumption values of all buildings which makes them easier to read and compare. Money related values have been increased by factor 10. 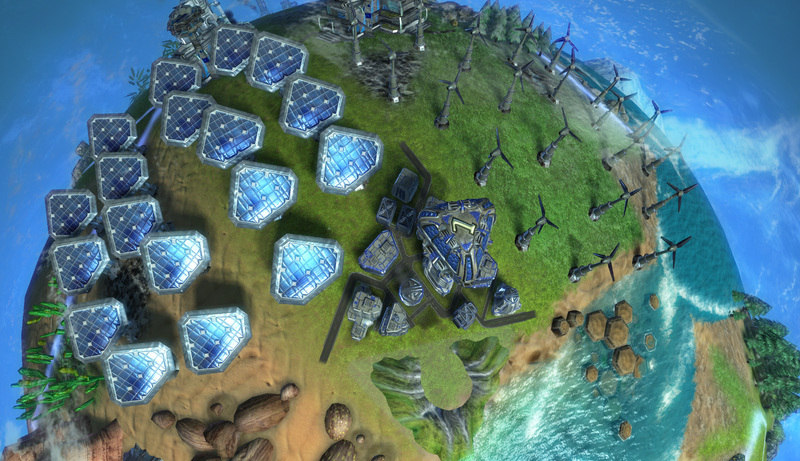 Energy, food, goods and rare resources have been increased by factor 2-4. The same goes for emissions and field pollution. In addition it allowed us to halve prices and money budget and to reduce the size of a resource cargo from from 1.000 to 100 units. These values are now easier to read and compare with the production as well. These flying enemies are now attackable with ideon bombs and explosive devices, which will be thrown on them by your drones. To do so you can simply hover and click the flying enemy unit and pick the item of your choice. Thisway you also get a context info about their motives and vulnerabilities. As you can hear the game features and mechanics are now explained by a native speaker with a compelling voice. As soon as we find time to redo the intro/trailer we also want to have this voice for Lima, the leading character in the game. The inventory is now accessible through the tool ring for fields where it makes sense to use items. In addition you can open the construct ring with a right click any time. Tower upgrades are also constructable through the tool ring when you have bought the corresponding item from a trader. No distorting ringing sound for infos anymore. 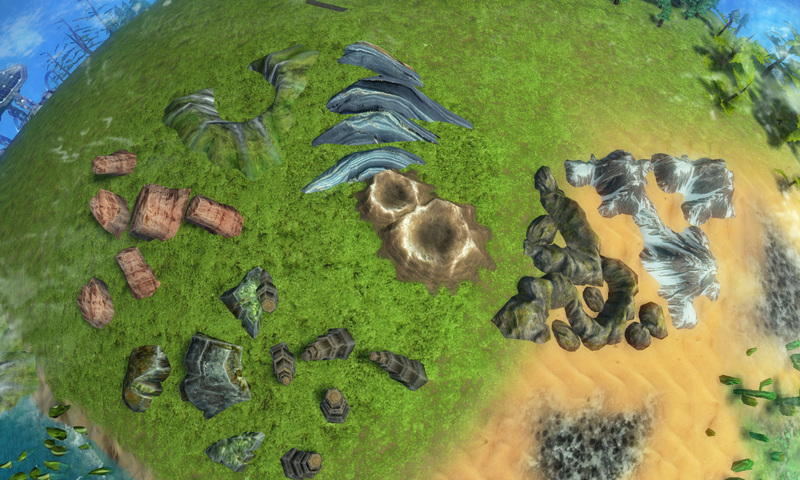 On Planet Iqunox you have to craft medicine now instead of just selling medical substence harvested from corals. 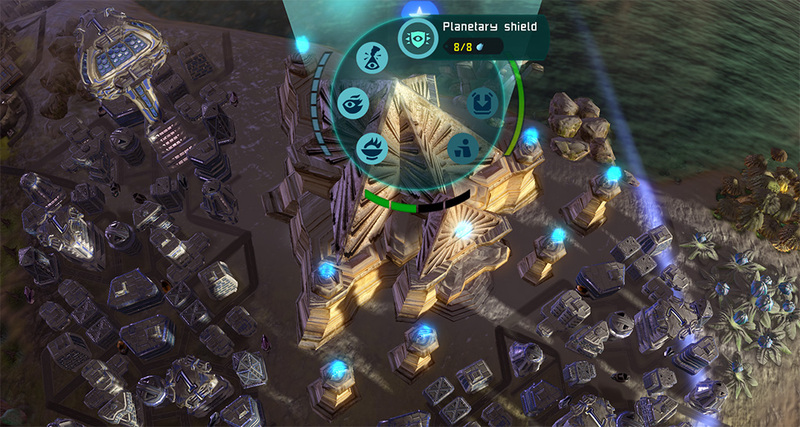 Rounos Native Quest now tells you to build towers to repress uprisings of angry natives. Mission Joma: We added a „Buy Scanner“ goal to make more clear how to proceed in the mission. The fieldmarker was redesigned to look better! 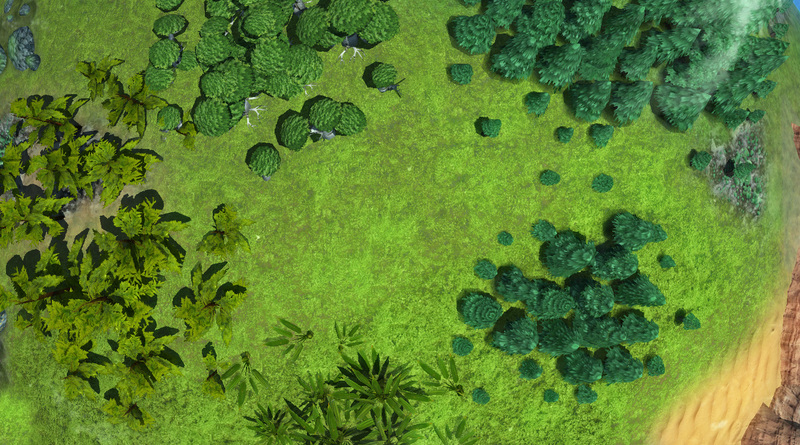 Tons of forest models have been optimized and graphics reworked. Underwater build animation got fixed. Hospital icon fixed, pumpkin shadow fixed. Rooftop of the saw mill construct fixed. Palms bigger and bump map fixed. voices.com – Where you can post your own project and invite community and put up a budget proposal. fiverr.com – Who have direct price calculation and order option what makes it fast. Dear Space Colonists, our monthly update of Imagine Earth this time adds a background story frame to the campaign and a new additional vegetation set. Maybe you where one of those who perceived our planets as a bit too normal and not very alien-like. We had the same feeling for some time and saw chance to try something new in terms of vegetation. 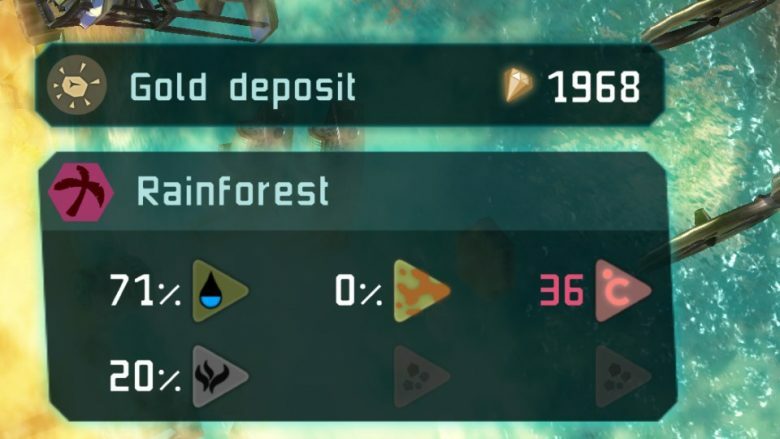 The whole set of forests (8 bioms + 1 underwater) is now being replaced on two of the six campaign planets to make their themes more diversified. 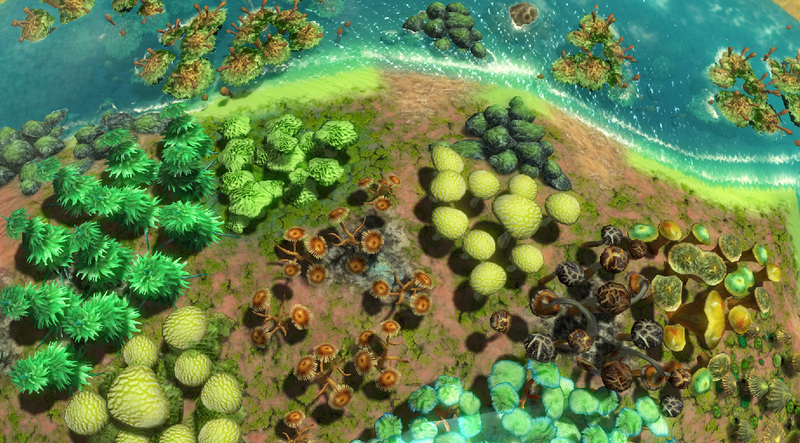 It also triggered us to do another set of vegetation besides trees and mushrooms. Could be giant ferns or totally alienated, glowing crystal plants. Any ideas? We heard it from time to time and felt the same way. The campaign was lacking a bigger context for the story. 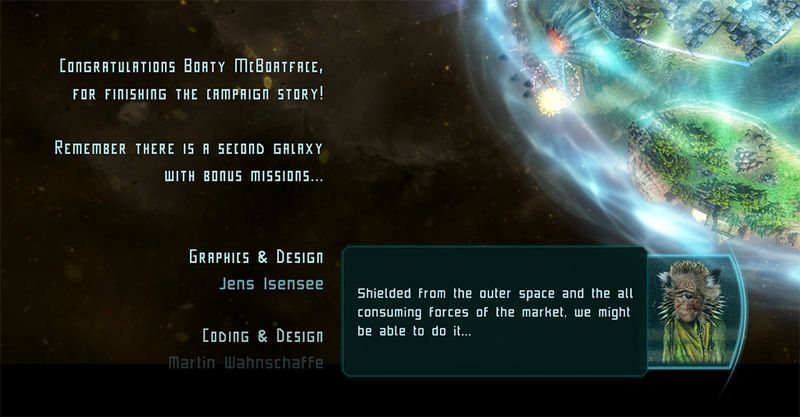 We have added this now in the form of cut scenes told in the campaign screen. This links all the missions to a big picture and a real goal that is followed by you and the other companies. A minimum of 10% goods will always be put into storage if you prioritize a certain resource. That keeps you from waiting for a resource package you wanted to store when the production value of the resource is low. On the Rounos mission we had a scripted enemy which could finally be replaced by our AI. In addition we have polished the mission on planet Rounos. There were serious balancing issues that are hopefully working out much better now. You can recognize much easier when there are important events somewhere on the planet. Quest icons have pulsing markers around themselves. In addition these quests are arranged in an own line in the bookmark panel. You can jump to these Events simply by pressing TAB. 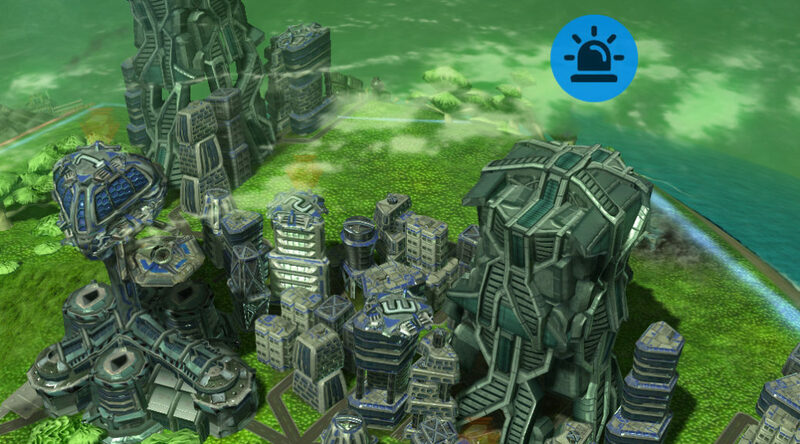 Dear Space Colonists, our monthly update of Imagine Earth this time focuses on improving the visualization of building productivity and quality of life for cities. 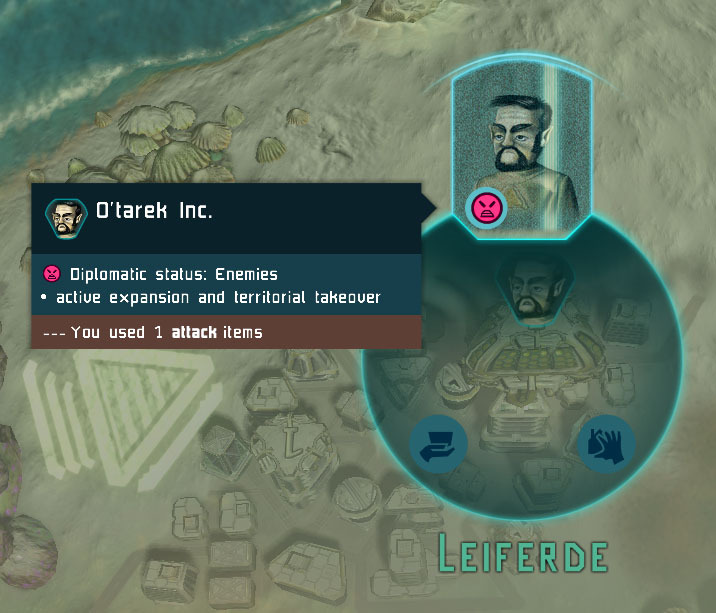 It’s now possible to donate items and resources to other colonies. 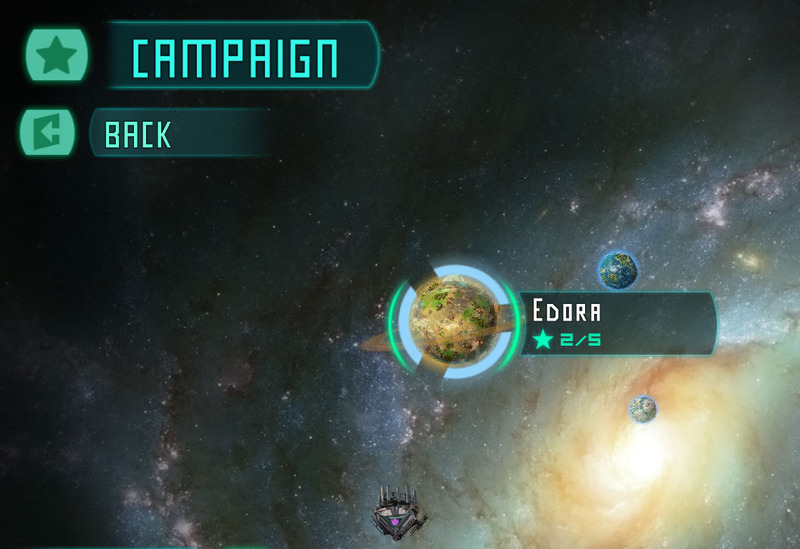 For now this has only relevance for the missions, but in the near future we will be working on a diplomacy system. We have extended the Joma mission to make use of this feature with respect to the epidemics and Birons. This gives you the chance to take a decision at one point that will have influence to a later part of the mission. The cure spell that is now available in temples neutralizes pathogens that can pose a threat to more complex forms of life on site – in other words, you can use it to heal epidemics. 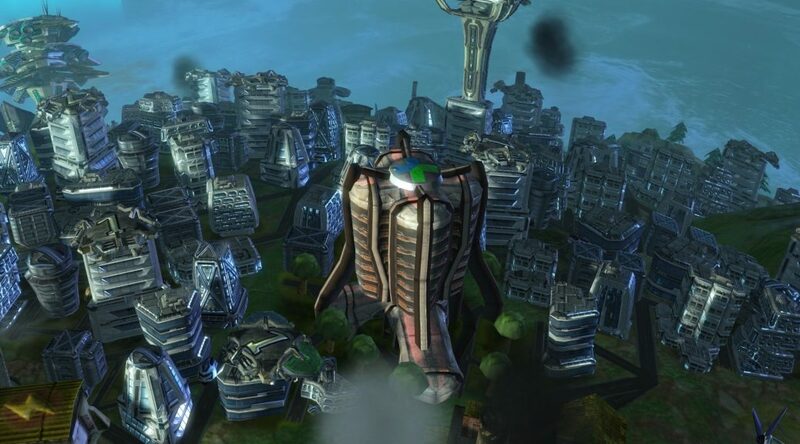 This new building is introduced in the Rounos mission. The fusion reactor generates thermonuclear energy of nuclear fusion. Lithium is needed as a raw material, which can be extracted from asteroids on most planets. There is only relatively little radioactive waste and the reaction can be aborted safely at any time. The „divertors“ upgrade improves binding of impurities from the plasma and reduce maintenance and disposal costs. The „reactor extension“ upgrade expands the reactor so that additional energy can be produced. This building most likely will need some additional balancing, since it’s the first time a building consumed rare resources. The fire station is an upgrade for city districts and the logistics center. It ensures that fires in the vicinity are automatically extinguished by a drone. In addition, the probability of forest and building fires is halved. Currently you always have loads of money in the long term. We are trying to improve the balancing of this a bit. In the first step we have increased the start budget and decreased tax income. At the same time we have increased the tax bonus you receive when your people have a high quality of life. 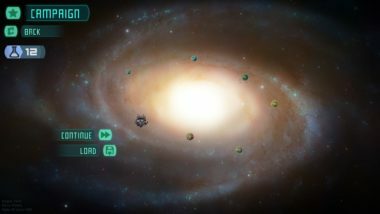 Over the course of the last years Imagine Earth has become a quite complex game. A part of this complexity is how productivity is influenced by nearby buildings and local factors like ground fertility. With this update we are introducing a new info panel that is shown when a building is clicked. It sums up the productivity and lists all the influencing factors and their strength. This will make it a lot easier for you to understand what is going on and how to increase the production output of your colony. 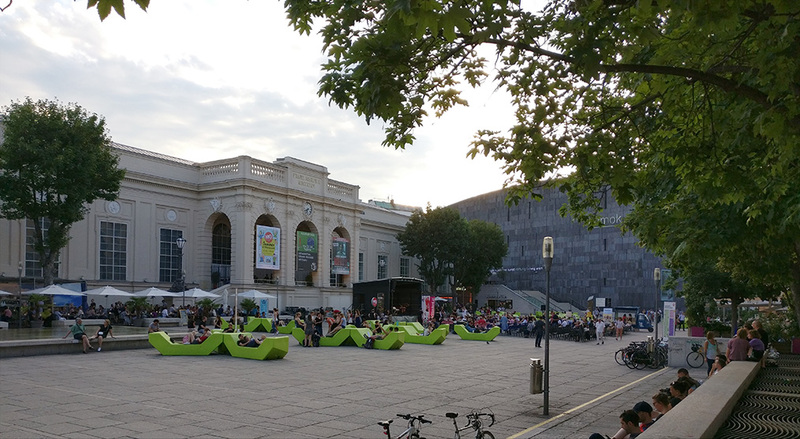 The second part of this is how the quality of life in cities is influenced. A high quality of life will give you a tax bonus and a low quality will decrease your income. Buildings like the park district, health district and campus district increase the quality of life in surrounding districts. Other factors will decrease it. The new info panel lists the details on this, so you always know what’s going on. Finally the former building info panel in the bottom left of the UI is replaced with a minimal version that shows the building’s / object’s name for the selected field and its production value / remaining resources. 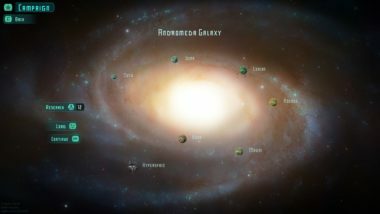 Dear Space Colonists, our (almost) monthly update of Imagine Earth this time focuses on a remake of the Joma mission that introduces new buildings, items, threats and a new race – the Birons. The Joma mission was last mission from the old days of Imagine Earth. We decided to rework it and add some new goals and story to it, to make it more interesting. All the new features mentioned below are introduced in the mission. 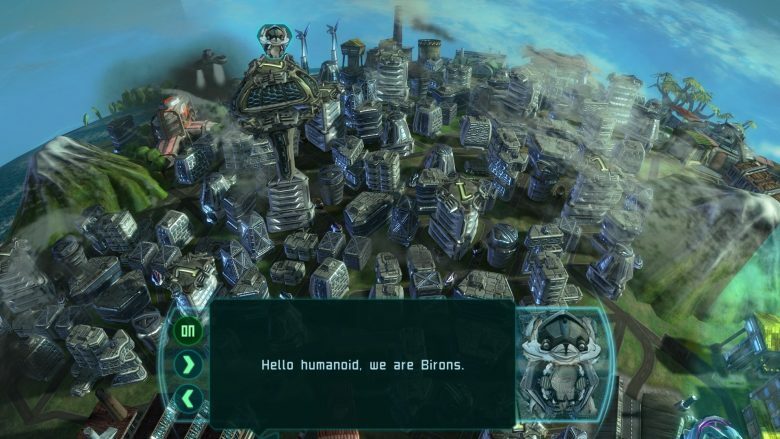 The Birons are a new race that are introduced on Joma and are the first contact with another colony on a planet in the course of the campaign. 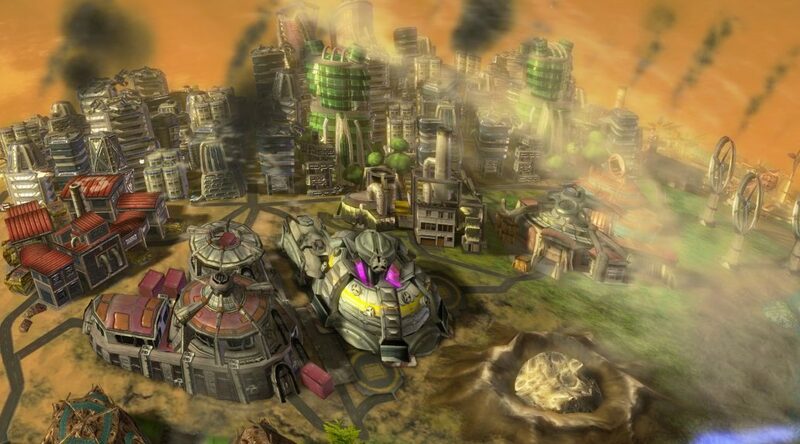 They build small colonies and are focused on producing resources and items and trade these things. Other colonies are now ready to trade overproduced resources, harvested rare resources and items with you. They pay less than the merchant would, but are willing to trade any time. The warehouse can now be upgraded to level 2, after this has been unlocked in the research system. It doubles the storage for rare resources and adds a second harvester drone to the warehouse. Epidemics are a new threat that can occur anytime. The probability is increased by local pollution, high temperatures and buildings like the cattle breeding or chemical plant and mushroom forests. You can cure the epidemic with the new item „Medicine“. It can either be crafted using chemicals and corals or bought from the trader. The new health district improves the quality of life of the surrounding districts. In addition, the spread of epidemics is prevented and the probability of an outbreak is halved. It’s medical lab doubles population growth in surrounding districts and the university hospital increases the radius of the health center in which epidemics are prevented, the quality of life is improved and medical laboratory affects population growth. The chemical plant produces all the chemicals needed in society. Production is increased by gas deposits as well as neighboring chemical plants. Inconspicuous, for example, for medicine and fertilizer production. Fiber-reinforced plastic reduces the maintenance cost and risk of an incident by using fiber-reinforced plastic instead of metal. This avoids corrosion. Laboratory optimizes the production process and reduces quality-related production losses. Meteor showers are a new force of nature. They come down as a burst of 3 to 6 small meteors that cause about 40% damage to normal buildings. 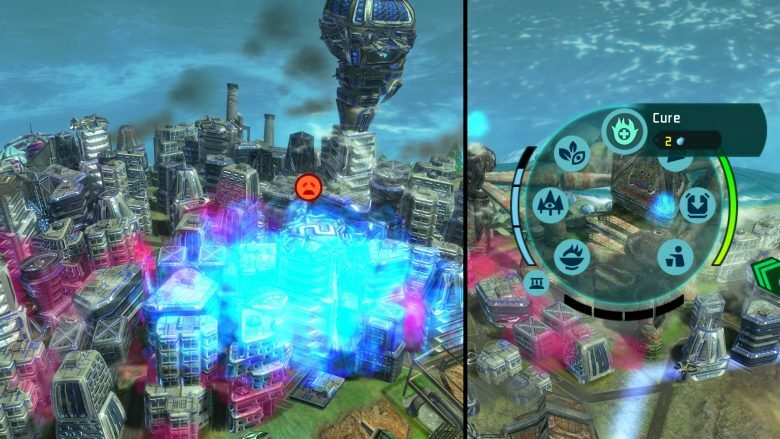 Single meteors can be shot by laser and pulse cannons or stopped by a city center or frontier tower with shield generator. All basic maintenance and incident works are now done by worker drones. This includes shipping the construction site for a new building, relocating existing buildings, repairing damaged buildings, extinguishing fires and dropping items like explosive device or seed bomb. To make sure you always have enough worker drones available, the logistics center comes with an additional drone. 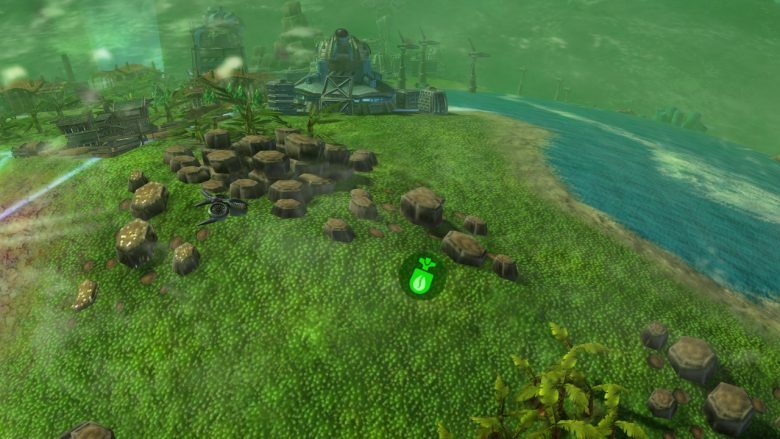 The seed bomb is a new item that grows the optimal forest on any field. 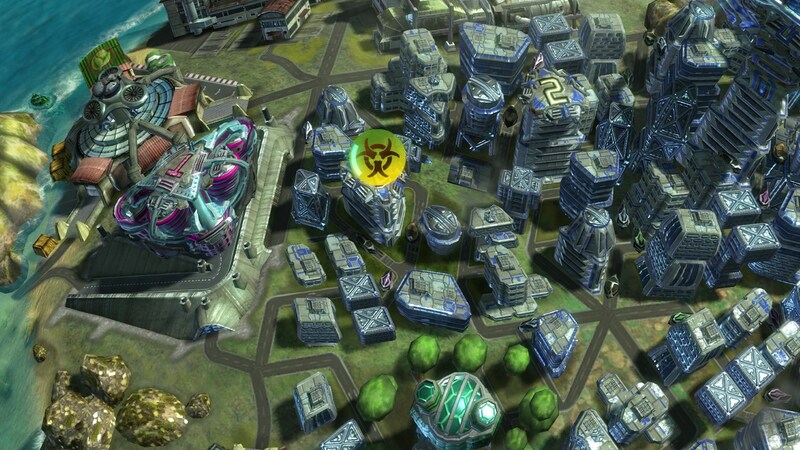 This field can be located within or near your colony. The item can be crafted using nitrokirlide and timber. Dear Space Colonists. 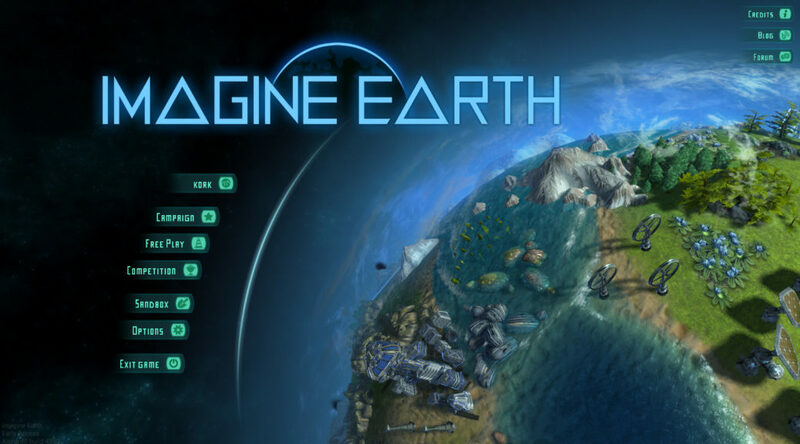 We have released our monthly update of Imagine Earth. 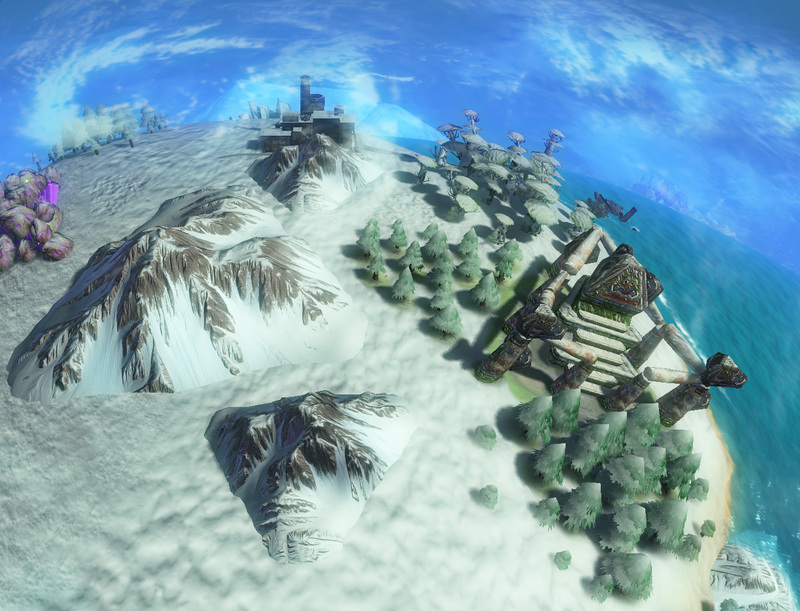 In the next days we will also update the Demo version to the latest state. This release is foremost a beauty and game atmosphere update. We have implemented a new atmospheric scattering shader that puts every planet into a unique light color situation. This is only the beginning – we plan to have cars driving to all of the supply buildings as well. It got totally reworked to make the end boss more understandable and assailable. The robotic entity is now attackable not only with astroid strikes but also with gaian fire, volcano eruptions from the temple and bombs as well. The companions are constantly giving you tips how to attack the assimilators. We also had to redesign how temples work. Spells are now available from the beginning as you have to sacrifice anyway to get the construct loaded with gaian energy. You can now queue sacrifices and load up to four tons of gifts into it that will slowly be turned into gaia one after the other. This makes spells much more accessible and the temples therefor much more use- and powerful. Stoniness will no longer be seen in the navigation view options as it is a thing that is changing the landscape only visually and indirectly influences the fertility of a field. Corals and seegras will no longer burn. 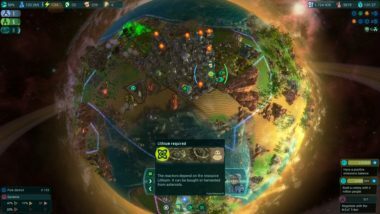 You can again save your self-made planets from the sandbox mode. Midras: Item and resource availability and food demand have been optimized in their visualization. 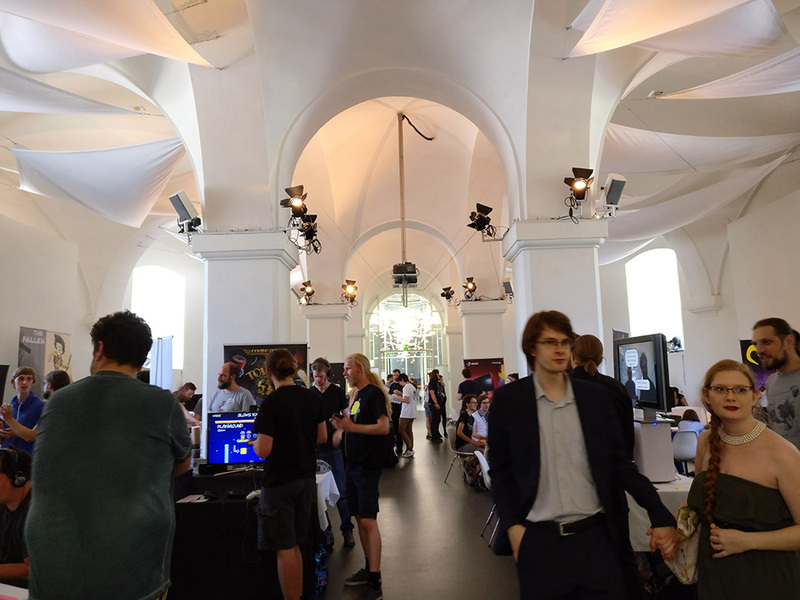 Hi there, what a pleasure for Serious Brothers to be at the Reversed Festival for Games in Museumsquartier MQ Vienna! 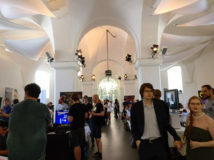 Nice to meet so many interesting people and there latest creations and also some professionals from the industry. 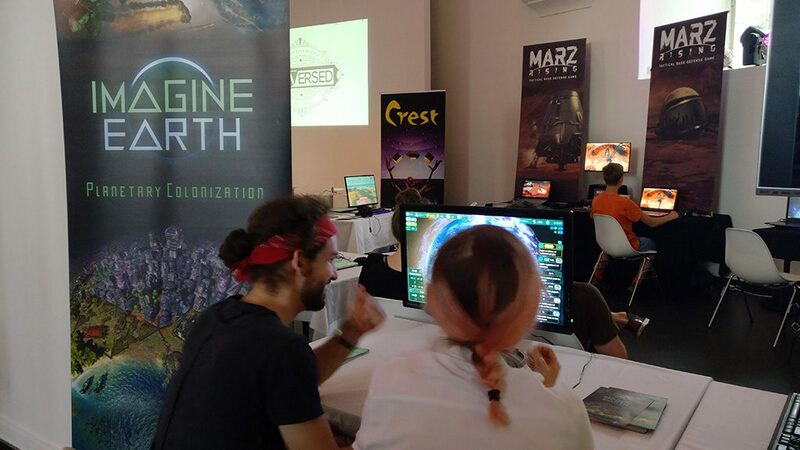 MarZ Rising – Am dollsten gefiel mir Style und Atmosphäre bei diesem Tactical Tower Defense Game auf dem Mars. 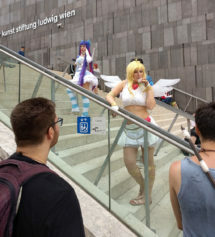 Vermutlich wäre es mir allerdings zu schwer. Minty Pic – Eine ebenso witzige wie chaotischer App, die zwei gemeinsam vor der Kamera getroffene Propanden knippst und ihnen skurrile Sprechblasen unterschiebt. Free! 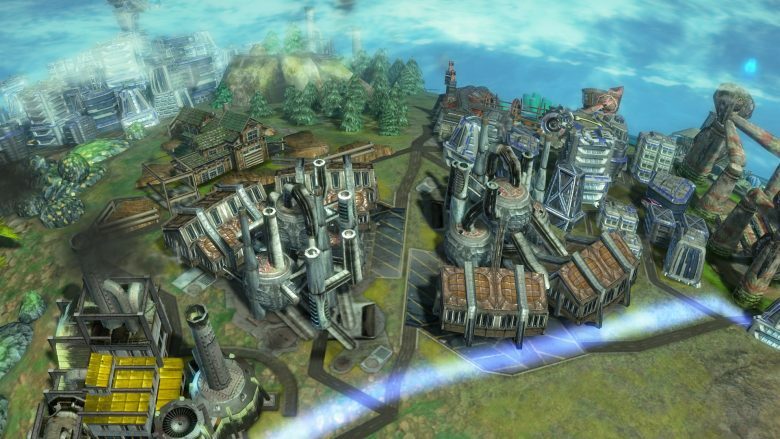 Der Preis für das beste Konzept wurde an Goliath VR. verliehen. Ein mit Kinect verfolgter Spieler miemt einen Giganten, auf dem ein zweiter Spieler Jump&Run mäßig von Plattform zu Plattform läuft. Das Beste Spiel des Festivals beruht auf Erfahrungen von Abdullah Karam, der aufgrund des Bürgerkriegs Hama in Syrien verlassen musste. Path Out – Gratulation an Georg Hobmeier und Co. von Causa Creations. I mochte besonders die Idee von „Somewhere“ einem Textadventure, welches dir das Gefühl gibt einen Messenger zu bedienen und einer realen Person zu texten und zu helfen, die sich manchmal auch nur alle paar Tage meldet und der du dann mit Recherchen auf Maps und anderen Websiten helfen musst.